Tampa socialite Jill Kelley, the woman at the center of the scandal that brought down CIA chief David Petraeus, was apparently so eager to make a multi-billion dollar Korean business deal that she was willing to cancel anniversary plans with her husband, Dr. Scott Kelley, according to emails reviewed exclusively by ABC News. Emails between Kelley and Adam Victor, president and CEO of TransGas Development Systems, also appear to confirm the New York businessman's claim that Kelley wanted a huge fee for brokering the transaction. Kelley's emails originate from two accounts known to be associated with her and her husband. Kelley and Victor were introduced at the Republican National Convention in Tampa in August by Kelley's friend, Tampa real estate developer Don Phillips. Kelley is an honorary consul for the Republic of South Korea. In an interview with ABC News, Phillips said he suggested that Kelley and Victor should meet because Kelley could help Victor land a deal for a coal gasification plant in South Korea. 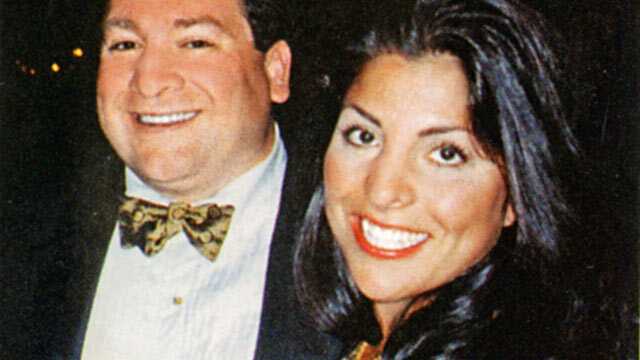 Phillips claimed that Kelley said that Victor tried to "proposition" her "almost immediately," and said he had to cajole her into flying to New York for a second meeting with Victor. After she met with Victor in New York, said Phillips, Kelley reported that she was no longer interested in pursuing the deal. According to Phillips, she said, "As a result of my personal investigations and business intelligence this is just not going anywhere, Don, and you just don't want to associate with this guy." But according to an email sent shortly after their introduction in Tampa and shown to ABC News, Kelley was pushing hard to set up another meeting with Victor as soon as possible. "[M]y husband is in agreement with me canceling our 13th Anniversary dinner plans," said Kelley in an email to a Victor employee. "Please call me." Victor, who denies propositioning Kelley, also claimed she continued pushing for the deal after their meeting in New York. On September 5, as she flew home following the meeting she emailed, "Adam, I'm on my flight. It was wonderful to meet with you. I was quite impressed learning about the project to say the least. I'm emailing around some contacts, calling in favors, and totally anxious to take this to the next step. It has HUGE potential. It just needs a catalyst like me." The word me is followed by a smiley emoticon, :-). The next day she emailed Victor again, bringing up her Korean contacts as well as the subject of her fee. "I know how to present this to the top leaders in Korea. ... Can you send me an agreement with my profit for facilitating the deal?" she wrote. "I'm truly looking forward to bringing this concept into fruition." On September 10, she emailed Victor again, this time from Hawaii, and again alluding to her fee. "I'm in Honolulu with the Korean delegation from Seoul. Any update with an agreement for my commission?" Victor responded, asking Kelley to tell him her "normal" fee. Kelley answered, "My fee to bring this to fruition will be 2%. I look forward to a formal agreement and moving forward." Victor told ABC News the coal gasification plants under discussion were worth $4 billion, which means two percent would amount to an $80 million fee, a fee he found ridiculous. He rejected the proposal. "The suggested fee you have asked for is so out of market, I have no way of working out any acceptable deal with you," he wrote. "You should not contact anyone on our behalf." After that, Kelley emailed Victor once more, writing, "If you have an alternate proposal, I'd be interested in hearing it." Victor responded, asking about an alternate fee structure, but did not hear back from Kelley again. A representative for Kelley could not immediately be reached for comment on the newly revealed emails. Victor also claims that Kelley told him Gen. Petraeus arranged for her to be named honorary consul, and that she could use her connections with high-level Korean officials to help land the coal plant deal. None of the emails that Victor showed to ABC News mention Petraeus. Kelley's friend Don Phillips told ABC News that Kelley has not "in any way tried to profit" from her relationship with Gen. Petraeus. Retired Army Col. Steve Boylan, a friend and former spokesperson for ex-CIA Director Petraeus, said it was "nonsense" that Petraeus had any part in Kelley's alleged Korean deal. Another source told ABC News that Petraeus had asked Kelley to stop throwing his name around. T.J. Kim, a spokesman for the South Korean Embassy in Washington says there was a meeting of Korean honorary consuls in Honolulu in September and he was told Kelley attended. There are a handful of such consuls across the country. But he has derided Kelley's alleged claim of access. "She only assumed this honorary position in August, and in three months we saw no activity from her or for the Korean government or the Korean community in Florida," he told ABC News. +Petraeus Affair: Who Is Jill Kelley?